Home/health tips/PrivaCare help me! What is the deal with cholesterol? Cholesterol is a waxy, fatlike substance that your body—mostly the liver—makes. Cholesterol is used to make some hormones, vitamin D, and bile acids. These help to digest fat. Cholesterol also is used to build healthy cell membranes (walls) in the brain, nerves, muscles, skin, liver, intestines, and heart. It only takes a small amount of cholesterol to meet all these needs. Your body makes enough. You don’t need any extra cholesterol from your diet. Why is high cholesterol unhealthy? Cholesterol causes a problem only when you have too much of it in your blood. Excess cholesterol is deposited in the lining of the arteries. This includes the arteries that feed your heart muscle. This narrows the inside of the arteries, through which blood flows. High blood cholesterol does not cause symptoms, so many people are unaware that their cholesterol levels are too high. 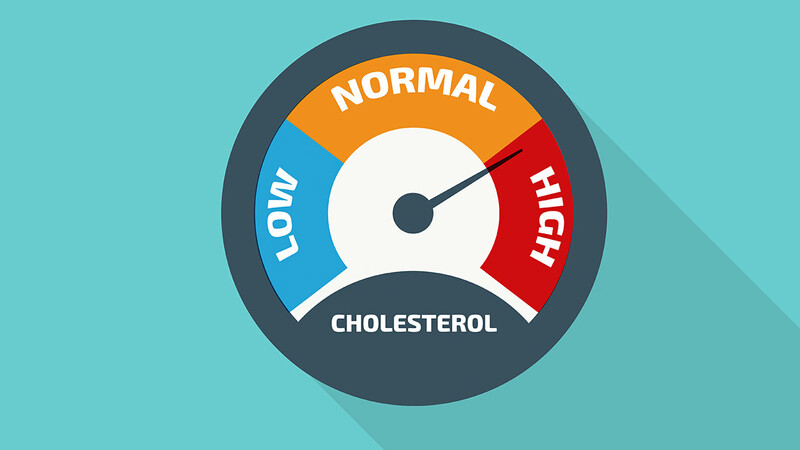 Even without a lipoprotein profile, you can get a rough idea of your cholesterol health if you know your total cholesterol and HDL cholesterol. Talk with your healthcare provider about your total cholesterol, HDL and LDL levels. The higher your HDL cholesterol, the better. The HDL cholesterol helps protect against heart disease. You can increase your HDL levels by losing weight, if needed, exercising, and quitting smoking. Having a high level of LDL cholesterol can cause fatty plaque to stick to the insides of your artery walls. The arteries get narrower and stiffer. This means less blood can flow through them. This process, called atherosclerosis, develops over a long time. It is especially dangerous if it narrows the arteries to the heart or brain. This creates a major risk for heart attack and stroke. Build-up of cholesterol in the arteries of the legs can cause leg pain and trouble walking, and other serious problems. Heredity, or what you inherit from your parents, is the main factor determining your cholesterol levels. Your diet is the second risk factor for high cholesterol. Foods containing cholesterol, saturated fats, or trans fats all contribute to your cholesterol levels. Many foods that come from animals are high in both saturated fat and cholesterol. Some non-animal foods also are high in saturated fat. Foods with coconut and palm oils, trans fats, and hydrogenated vegetable oils like shortening and margarine raise cholesterol. Being overweight usually raises your LDL cholesterol. Losing weight may lower your LDL level and triglycerides, and boost your HDL cholesterol. Getting regular exercise may lower your LDL cholesterol and raise your HDL cholesterol. Age and gender.Until menopause, women usually have lower total cholesterol levels than men. After age 50, women often have higher total cholesterol levels than men of the same age. For both men and women, total cholesterol levels rise until about age 65. If you smoke, giving up tobacco will increase HDL levels. The main goal of treatment that lowers cholesterol is to lower your LDL level enough to reduce your risk for developing heart disease or having a heart attack. The higher your risk, the lower your LDL goal will be. A heart-healthy diet means eating fewer foods high in saturated fats. These foods include fried foods, red meat, some cheeses, and most commercially prepared baked goods (cookies & doughnuts). Manufacturers are reducing saturated fats and trans fats in their products. Make sure you check nutrition labels and choose those with the least amount of saturated and trans fats. A diet low in both saturated fat and cholesterol has less than 7% of calories from saturated fat and less than 200 mg of cholesterol per day. There should only be enough calories to maintain a healthy weight and to avoid weight gain. You might also increase the amount of fiber in your diet. Fish is also a good choice. Many types contain high levels of omega-3 fatty acids. These may help lower blood cholesterol, blood pressure, and reduce your risk for blood clots. You should also eat more vegetables, fruit, and whole grains. Use less meat in recipes. Have smaller portions of meat, and add more vegetables, grains, and fruit to a meal. Trim off fat from meat before cooking. If you need help with your diet, talk with your healthcare provider about seeing a dietitian or nutritionist. Regular physical activity—30 to 60 minutes on most, if not all days—is recommended for everyone. It can help raise HDL and lower LDL cholesterol. For adults, 150 minutes of moderate aerobic exercise every week and exercises to strengthen muscles on 2 or more days a week. Maintain a healthy weight.Losing weight if you are overweight can lower your LDL cholesterol and raise your HDL cholesterol. Control your blood pressure.Make sure you get it checked when you have appointments. Consider medicines. If your cholesterol level remains high 6 months after you change your lifestyle, ask your healthcare provider about medicines that can lower your cholesterol. Choose from: soya alternatives to milk and yogurt, soya desserts, soya meat alternatives, soya nuts, edamame beans and tofu. All nuts are rich in vegetable protein, fibre, heart healthy unsaturated fats, vitamin E, magnesium, potassium, natural plant sterols and a host of beneficial plant nutrients. 30-35g a day of nuts (a handful) has the potential to lower cholesterolby an average of 5%. What is 30-35g of individual nuts – see below? An intake of 1.5-2.4g plant sterols/stanols everyday has been shown to reduce cholesterol by 7-10% over 2-3 weeks. They work by blocking cholesterol absorption in the gut. Visit our section on cholesterol-lowering plant sterols & stanols to find out more. How much is 1.5-2.4g plant sterols/stanols – see below? Keeping our daily saturated fat intake below 20g (women) and 30g (men) is vital for cholesterol lowering, but it is equally important to replace this saturated fat with modest amounts of unsaturated fats such as those found in olive, sunflower, corn, rapeseed and other vegetable, nut and seed oils. Other foods rich in unsaturated fats include vegetable spreads, avocado, oily fish and nuts. Avoid coconut and palm oil as, unlike other these vegetable oils, they are rich in saturated fats.